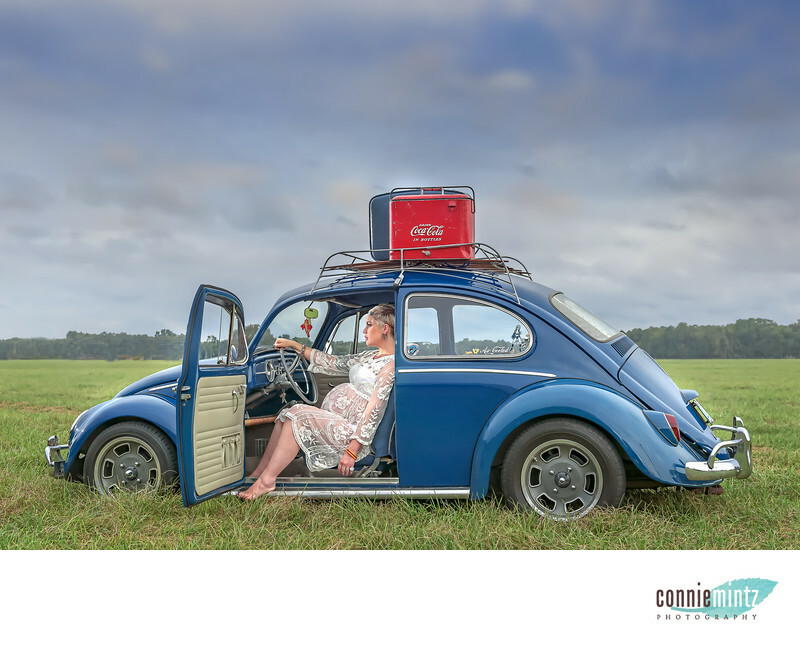 Maternity mage captured on location with vintage car and luggage. This styled maternity session was shot in a field with off camera flash. Keywords: Florida (21), maternity (99). 1/200; f/5.0; ISO 320; 42.0 mm.